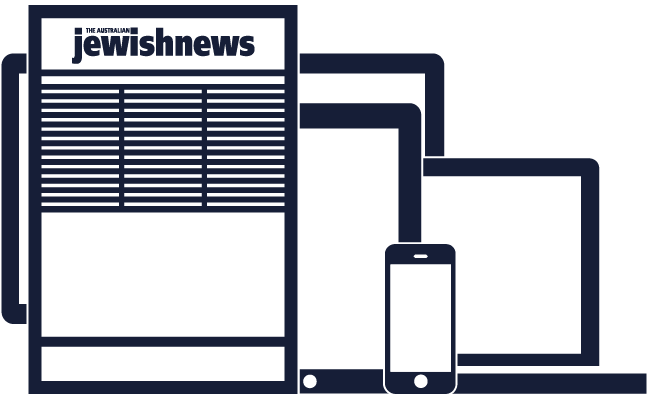 Get the Jewish News digitally. Includes iPad, iPhone, Android, Mac & PC access. 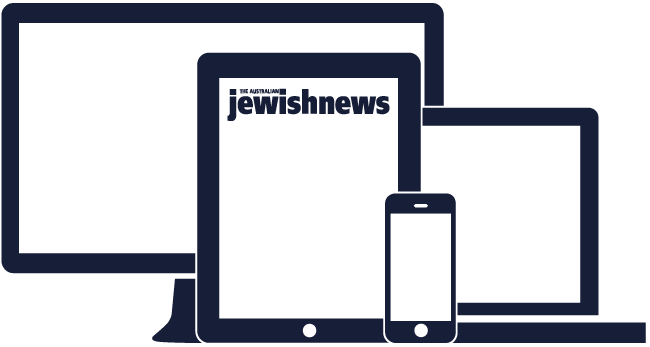 Get the Jewish News delivered to your doorstep weekly, PLUS our digital all access subscription. Get the Jewish News delivered to your doorstep weekly. Subscribing provides substantial savings off the newsagent's price. For more than 120 years, The Australian Jewish News has been the voice of Australia’s Jewish community. With two editions each week - Sydney and Melbourne - The AJN covers local, federal and international news, opinion, arts, lifestyle and sport. Read the AJN on your iPad, iPhone, Android tablet or Android phone. Plus get access to our HTML5 reader from any web browser. 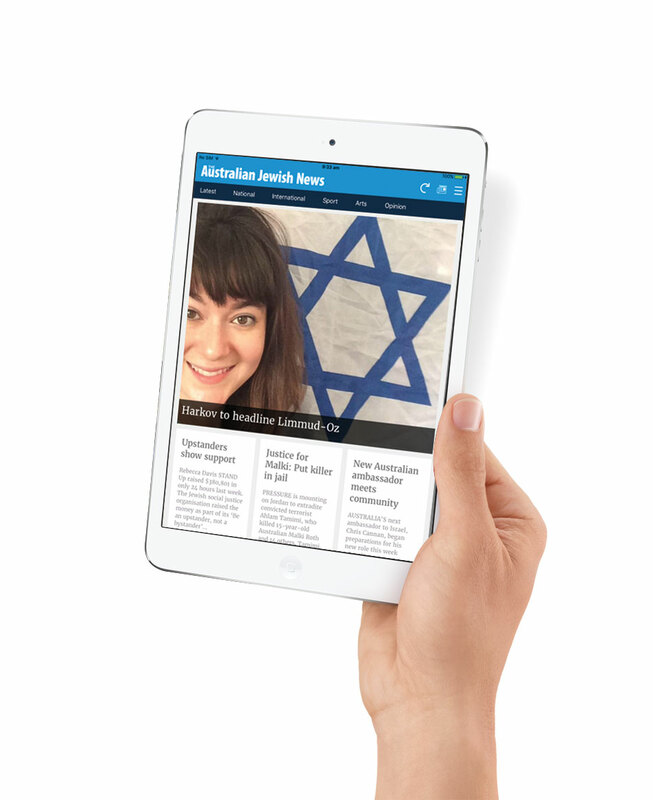 A new app experience puts the latest from jewishnews.net.au at your fingertips. Have the flexibility to pay weekly, monthly, biannually or annually. 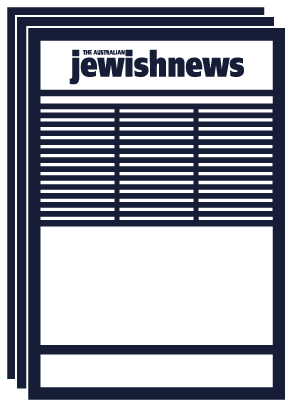 Access back issues of The Australian Jewish News (Melbourne and Sydney), including our regular supplements such as Wedding and Bar/Bat Mitzvah magazines. Billing What forms of payment do you accept? We accept Visa, Mastercard and AMEX credit and debit cards. Payment is securely processed through Stripe. Subscriptions are billed to your nominated credit card, and a PDF invoice is sent via email. Invoices are also available in your members area. You will receive a notice via email 7 days in advance of renewal (2 days in advance for 7 day subscriptions). Recurring payments can be turned off in your members area. Refunds/cancellations What are you refund/cancellation terms? Digital How do I access my digital/iPad subscription? Once you purchase a digital subscription you can immediatley log in to our iPad, Android or web app using your email address and password from this website. Please see the app access page for full details. I have an iTunes subscription, how can I access the web app? How do I access supplements and back-issues? In the AJN app, open the menu , press Supplements. In the AJN ePaper, open the menu , press Supplements. In the AJN app, open the menu , choose the latest edition of the publication you want to access back-issues for. Then, press Menu in the top-right, and select Archive. In the AJN ePaper, press Archive (filing-cabinet icon) in the top menu bar, or open the menu and press Archive. Print I've moved house, how do I change my delivery address? Please give us a call on 1800 010 171 to change your delivery address. I'm going away, can I pause my print subscription? Please give us a call on 1800 010 171 to amend your subscription period. If you have a Print + Digital combination subscription, Your digital access will continue to work while you are away.